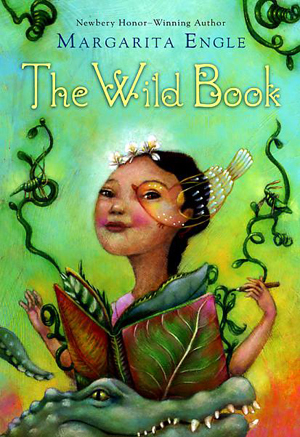 Inspiration for Learning – this resource is based on the award-winning book ‘The Wild Book’ by the Cuban-American poet Margarita Engle. The Wild Book is a vibrant novel in verse, which paints a glowing portrait of the author’s grandmother as a young girl. These activities engage students in discussions around the potential barriers to learning, concepts of hope and a sense of belonging. KEY QUESTIONS: How Can We Remove Barriers to Learning? How Do We Support Learners to Find A Place to Belong? Fefa struggles with words. She has word blindness, or dyslexia, and the doctor says she will never read or write. Every time she tries, the letters jumble and spill off the page, leaping and hopping away like bullfrogs. How will she ever understand them? But her mother has an idea. She gives Fefa a blank book filled with clean white pages. “Think of it as a garden,” she says. Soon Fefa starts to sprinkle words across the pages of her wild book. She lets her words sprout like seedlings, shaky at first, then growing stronger and surer with each new day. And when her family is threatened, it is what Fefa has learned from her wild book that saves them. Read the poem ‘School’ out loud to the students. Ask the students for their initial thoughts on the poem, and make a list of their responses. Why do you think Fefa is so unhappy at school? How do you feel about reading ‘OUT LOUD’ in class? What can Fefa’s classmates do to make her feel better about ‘words’? What can Fefa’s teacher do about her fear of words? Individually or in small groups ask the students to write a letter or poem of encouragement to Fefa. Read a review of The Wild Book here http://www.booktrends.org/2012/07/review-wild-book-by-margarita-engle.html.